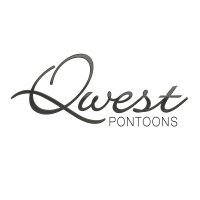 Qwest Pontoons prides itself on being one of the few pontoon boat manufacturing companies in the United States that designs as well as builds all of its boat parts, components and other accessories in-house – they do not outsource any of the work that they do. This has allowed them to be flexible and proactive in terms of design without compromising on their distinctive quality in any way. Armed with this superior vision and insight, Qwest Pontoons use their top-of-the-line manufacturing equipment, software and methods and combine them with innovative technology to develop new products and make constant improvements on their existing products. The company is known for manufacturing some of the most popular budget pontoon boat models, such as the Qwest, the Paddle Qwest, the Angler Qwest and the Gillgetter.